High Jump and all of its parts are patent pending. NOSEBAND The noseband also features a whole new design. It does not put any pressure on the teeth from the outside which reduces possible bit-related issues. 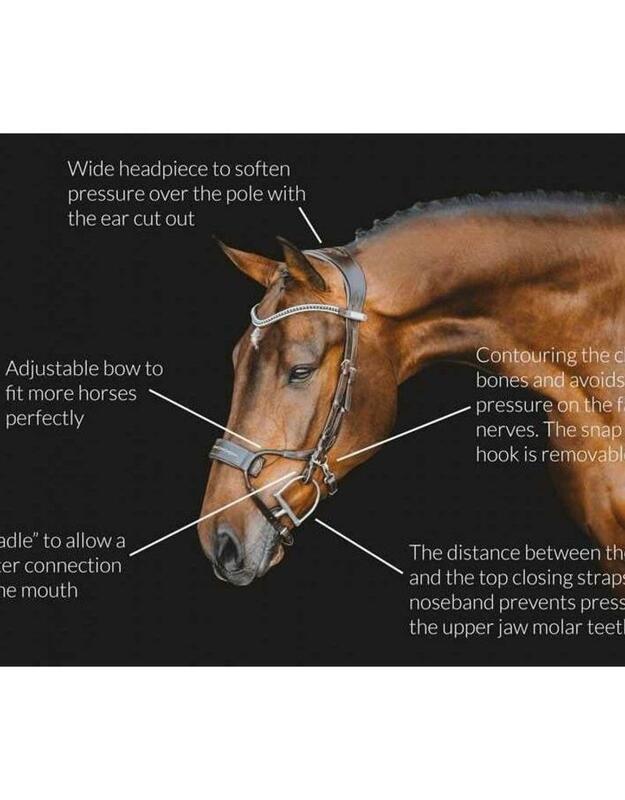 The bows that lie over the bridge of the nose are flexible so you can always ensure a perfect custom fit for every horse. 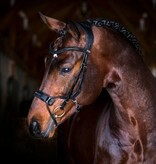 The noseband has a decorative seam and is fastened with a hook. The hook can easily be removed for a traditional pull-back fastening. 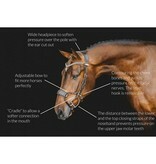 You can change the noseband to meet different needs. You can find many great designs in our web shop. 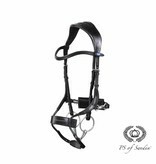 NECK PIECE The neckpiece of the bridle has a completely new and fan-shaped design, offering the best possible pressure relief for the sensitive neck. 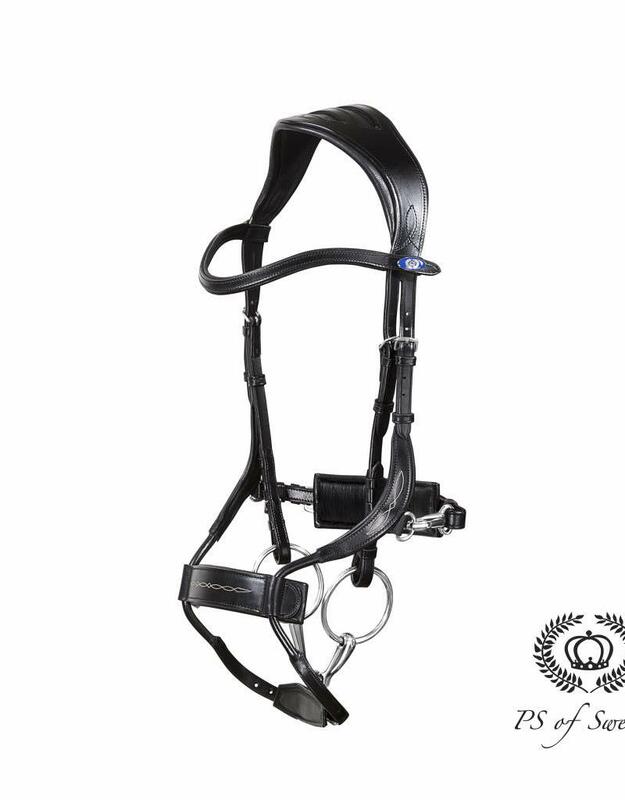 CHEEK PIECES The cheek pieces are flat with regular hooks and our patent pending Cradles™, which allow the bit to suspend in the horse’s mouth. This helps to further relieve the pressure on the poll. Our cradles are selectable and constructed to be easily "hooked on and off." 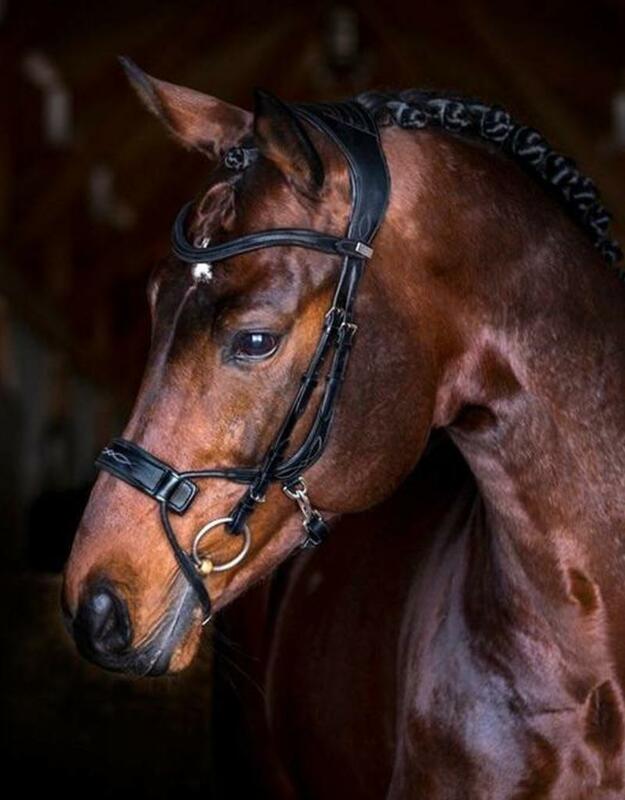 BROWBAND The browband has our unique patent pending "Click-it”™ design, which allows you to swap it in a few seconds, even when the horse is already wearing the bridle. The "Click It"™ buttons are blue, with the PS-logo on it. If you're choosing between two sizes we recommend that you go for the larger one. For a proper fit the bendable bows need to be adjusted individually to fit your horse. Please have a look at our product images or contact our customer service team and we'll help you with the fitting.